If you have received a notice to attend a Workers’ Compensation hearing in New York State it is important to take action. 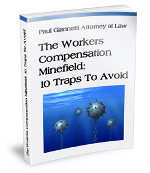 There are many reasons that the Workers’ Compensation Board has scheduled a hearing. They can involve suspension of benefits, permanency awards, or disputes regarding your medical care. If you are not sure why a hearing has been scheduled it is probably time to have an attorney review your case. Failing to appear at a hearing could result in adverse findings. There are circumstances where you may not have to appear at your hearing, if you are represented by counsel. If you received a hearing notice and would like to find out what is means to you, feel free to contact our firm for a free consultation.